As previously said by me, FundsIndia is one of the best platforms to invest in various mutual funds company. You must have gone through my detailed review about FundsIndia and why should you choose this as your portfolio manager. In this post will see how to create FundsIndia login & get started with your first investment. The procedure is very simple and requires only 5-7 minutes to get started. If you already have an account you can login from here also. 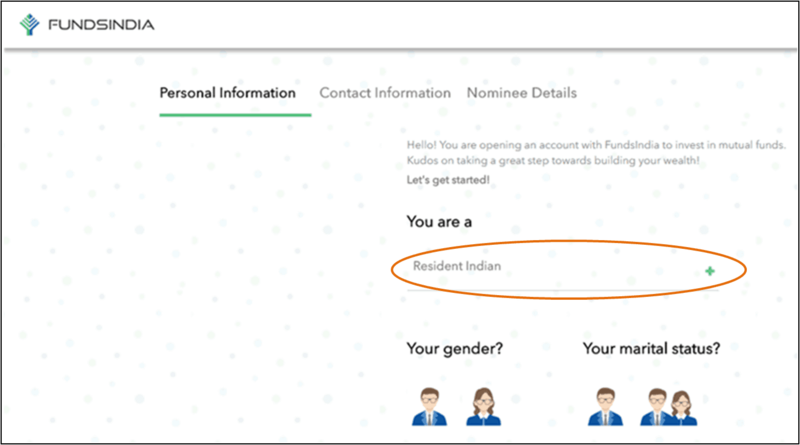 And if you are new to FundsIndia, here is the detailed procedure to create FundsIndia login. Step 1 – Go to FundsIndia website. You will notice below screenshot as their homepage. In this step, you need to provide your Name, Email ID, New Password (which you will need to login) and Mobile Number. Make sure you have entered the correct mobile number, as FundsIndia representative or advisor will call you on this number to help you out throughout the investing procedure. Please make sure to write correct email ID , as you will get all the update related to your portfolio & regarding new schemes and features of various schemes. As you can see on the main screen, they have given top performing funds from all categories here. This list is well chosen by mutual fund experts. You can also notice that they have given returns of each fund for last 3 and 5 years, which helps investors to gain some insight here. You can refer my post onHow to Choose the Best Mutual Fund to learn what factors you should look while choosing the fund. Now click on Invest Now button. You have just created your login here. Let’s see few next steps which would create your profile as an investor in FundsIndia. 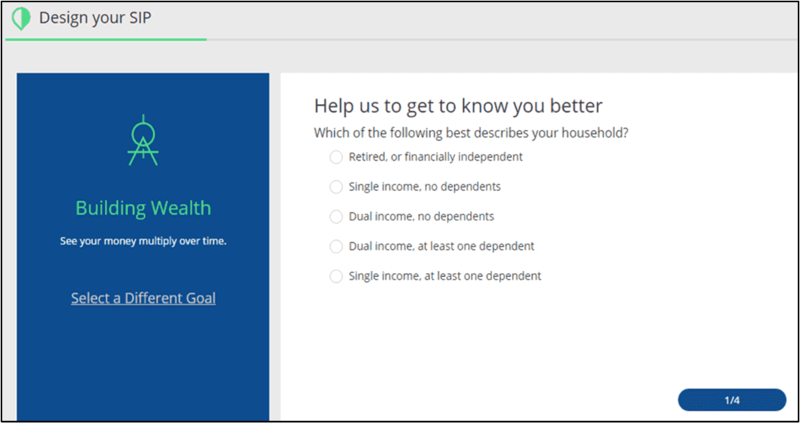 Step 2 – This section covers Personal Information. When you enter your PAN number, systems checks whether you are KYC compliant or not. If you are KYC compliant go to step 4. If you are not then still you can do your e-KYC by linking your Aadhaar card number as shown in below image. Enter your Aadhaar card number. Click on Checkbox of DISCLOSURES” which basically says that you will not be able to make transactions of more than 50,000 with Aadhaar e-KYC. Here you can add Nominee Details for your account and for all your mutual funds in the portfolio. This is just a one-time process. You can even skip this step by clicking Checkbox on “I’ll add the nominee details later. Add Nominee Name, Date of birth and your Relationships with the Nominee. Done! You just created your FundsIndia login & set up your investor profile with FundsIndia. All these are online activities, there are few more steps you have to follow in order to start investing. You need to send your ECS mandate to FundsIndia with your signature and you might also want to send your documents for PAN-based KYC. Now here comes the Servicing part of the Fundsindia, representative from FundsIndia can come to your doorstep on your request. You do not need t print your application forms, KYC forms etc. They will come with everything. You just need to sign ECS mandate & give them canceled check for your first investment. What have you done to create FundsIndia login? Just spent 5-7 minutes online & 5 minutes from your place when giving ECS mandate. That’s it! This whole procedure gets completed within 1-2 days. Meanwhile, you will get a call from FundsIndia experts for helping you out with their advice. They would suggest you best mutual funds for your Goals. I have seen most of the funds they refer are best and you can also confirm them from various Financial sites. 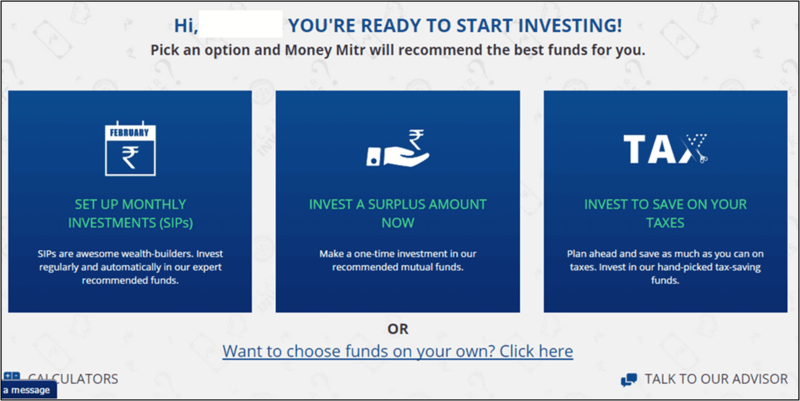 When you log-in in your account, you will have this screen which lets you select mutual funds per your need. If you can not select funds on your own, they can pick the best fund for your needs such as Sip or tax saving. In addition, you have the fourth option if you already know some best performing funds , then choose “Want to choose funds on your own? Click here” button. Now let’s assume that you don’t know how to choose the mutual funds and you want to start a SIP. Therefore let’s go ahead with the first option as “Set up monthly Investment (SIPs) option. 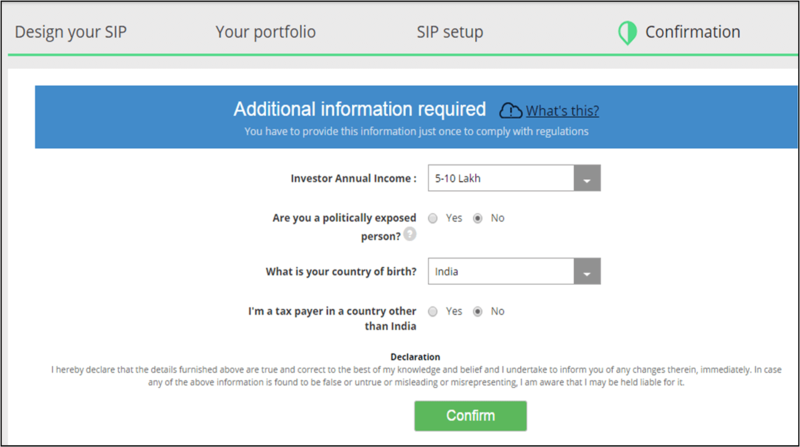 Furthermore, when you click on SIP, you will get below screen, which shows you various goals for which you need to start a SIP. Select the correct option as Mutual fund selection depends on your goals. Choose option per whatever your goal is. Let’s assume your goal is to Build Wealth. Choose this option for now and you will be taken to SIP design mode as shown below. Design Your SIP – Here you will get 4 different questions to understand your risk appetite better. In addition, you will also be asked to enter your investment amount. 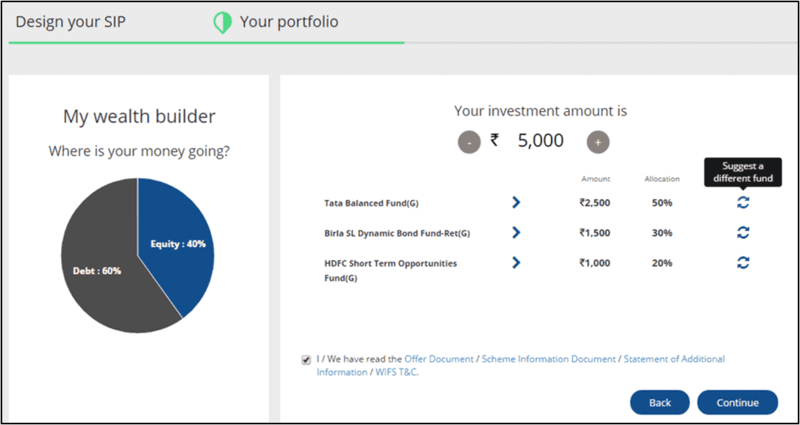 FundsIndia will now create your portfolio per your answers and for the amount you have given. As you can see in below picture, I have started with Rs. 5000, FundsIndia has suggested me different funds according to my goals. If you wish to change the schemes you can click on “Suggest a different fund” or click on Continue. Confirmation – Provide the information as needed by latest KYC norms. Giving Bank Details – This is the final step in starting your SIP. You have 2 options here, first is “Instant e-verification” and the second is “Submit bank information”. Choose any one per your convenience and you are done with the final step. You have successfully started your first SIP with FundsIndia Login. Hope these steps will help you in creating your account. Let me know if your comments. Share this article with your friends on Social media. Disclaimer – All images are taken as a screenshot from my computer and fundsindia.com website. When I was building my portfolio in SIP, FundsIndia was suggesting me some balanced funds, but I dont want them as they have lower returns than other funds. How to deal with this? Or should I go with whatever portfolio suggested by them. Hello sir, very well written guide to create login to fundsIndia. Thanks a lot. I am already done with kyc. 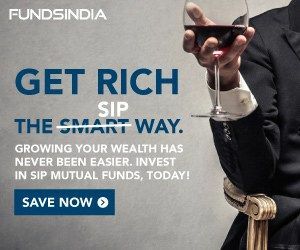 Can I invest in fundsIndia immediately. You need not to do kyc again. 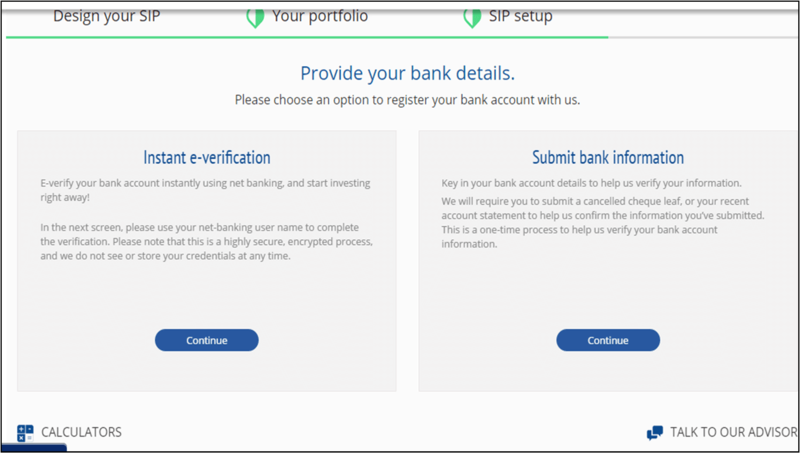 You can start investing once account opening procedure is done. Usually 2-3 days.